Under the new structure, congregations will relate directly to synod, with congregations to be grouped in at least three regions, the boundaries of which are to be determined by the Board of Directors in consultation with the congregations. To simplify the transition, regions will for the time-being follow the boundaries of the districts. 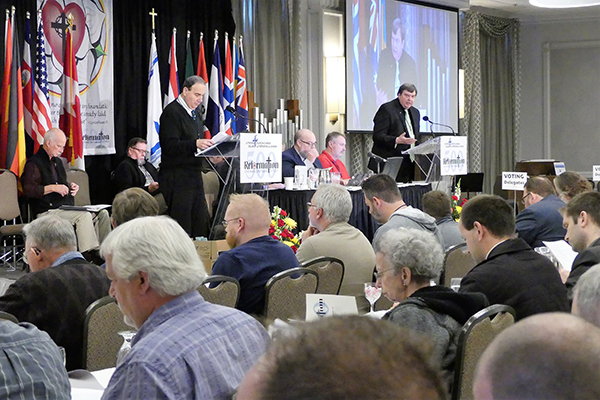 Delegates to the 2017 synodical convention have requested districts to make opportunity for the election of regional pastors and circuit counsellors during their 2018 conventions. Synod will cease to offer LCC services through the district corporations beginning in 2019.